Immerse yourself in the rich historical heritage of Beijing on a full-day tour of the city’s most spectacular sights. 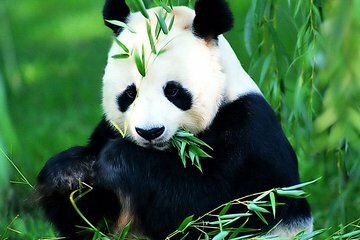 Visit the UNESCO World Heritage-listed Summer Palace; absorb the sacred ambience of the Lama Temple (Yonghegong); and see giant pandas in environments reminiscent of their natural habitat at Beijing Zoo. Gain fascinating insight into the prosperous past and present of China’s capital from a knowledgeable guide and capture fantastic photographs of the city sights during each leisurely stop. Salga de su céntrico hotel de Pekín en un cómodo autobús con aire acondicionado y aventúrese hasta el primero de sus lugares históricos: el Templo Lama. Aclamado como uno de los monasterios más famosos de la ciudad, el templo cuenta con cinco salas opulentas repletas de coloridas tallas, objetos sagrados y murales detallados. Sigue a tu guía a través del impresionante laberinto y aprende sobre el significado cultural del enorme Buda Maitreya, una estatua que se encuentra a 18 metros sobre el suelo. A continuación, aventúrese al zoológico de Beijing para ver a sus adorables pandas gigantes. Observa a los majestuosos mamíferos en una réplica de su hábitat natural mientras comen bambú y descansan perezosamente en el gran recinto. 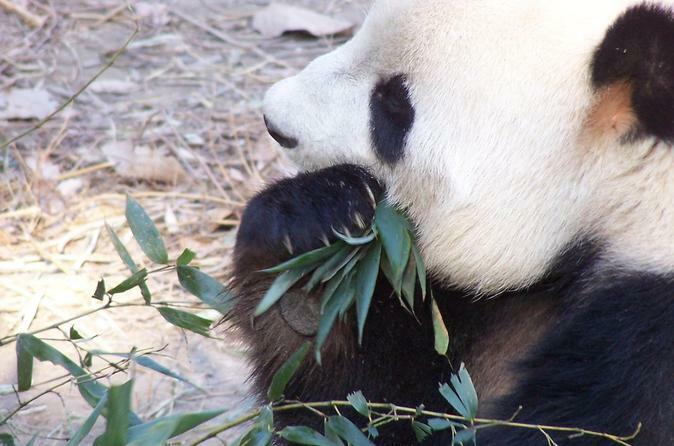 Después de observar los lindos pandas, revitalícese con un almuerzo tradicional chino y prepárese para su próximo destino. Acompañado, viaje al Palacio de Verano, declarado Patrimonio de la Humanidad por la UNESCO, para admirar el esplendor real de la estructura. Escuche cómo el palacio fue completamente reconstruido después de ser destruido por ejércitos extranjeros y recorra los opulentos terrenos para ver templos decorados, pabellones pintorescos, puentes pintorescos Y jardines verdes. Concluya su exploración cultural en el Mercado de seda de Tianhou, un enclave vibrante en el que se realiza una breve demostración de seda. Compre algo de seda suntuosa si lo desea, luego regrese a su hotel de Beijing en su cómodo vehículo. Mr. Lee took us to the Summer Palace and Panda Garden, that was all good. After that he took us to a silk showroom. At the showroom Mr. Lee encourages us to buy things obviously because he gets a cut of whatever we buy. This was followed by a pearl showroom, where again he is encouraging us to buy things. When you don't buy something he comes up to you and encourages you to go look more closely at all the things they sell. After this we were supposed to go to the Lama Temple, but he then suggested that we instead should go to the Temple of Heaven. The reason for this is that he has an arrangement with a tea store right outside of the Temple of Heaven. There they will make you tea and show you how tea should be drank and prepared. After this he encourages you to buy things. After this he took us to a foot massage place for $3 foot massages, they also offer medications they you "need" based on a pulse reading. These medications cost $120. During the tour he tells you about how sick his mother is and how expensive is to care for her and that he watches after her when he is not working. This we felt was done on his part as to not make us upset that he tries to make extra money off of us. We felt that it was unprofessional for him to include and exclude things that were not on the agenda. In addition, we didn't like the pressure he put on us to buy things. We enjoyed this tour a lot. Summer Palace is beautiful and the Lama Temple is fascinating. We paid extra to do the boat entry and I thought it added something. But advised that the title is misleading. You tour through the grounds of the Summer Palace. You don't go into anything. If you are looking to really get into the Summer Palace, this isn't your tour. But all and all it was fun and our guide did a very nice job. I enjoyed it. This was avery nice trip to different places of Beijing, with a very nice and friendly guide, who spoke very good English. It was also really good organized. The only little critic concerns the meal, it was fresher and lovingly arranged on the other tours. It was great to see the panda's, Lama Temple and Summer Palace, but you also go to a silk and pearl factory, which aren't factories at all. They are just stores which they aggressively try to sell you things. Also, if they offer the boat tour to the summer palace for 140 yuan, I would pass, it's nothing really exciting about it. This was a very good tour to get a feel for a Beijing first visit. Great guide, very well organized. The Panda's were awesome. Great value for the price. it was worth every penny we spent. left well equipped with knowledge about Beijing history , our guide was amazing and he explained everything in details he made the tour fun with he speaks very good english, he knows all stories about ancient Beijing. we cant wait to come back for another tour with you. Great day! Marie was a good tour guide. I would suggest the tour company change the lunch location as it was sub par and a bit gross as compared to the lunch for the Forbidden City/Great Wall tour.